When drawing Electrical and telecom plan, you need to display electrical circuit, schematics, electrical wiring, digital circuits and house electrical plans, etc. It shows the electrical devices location and the scheme of electric and telecom wiring clearly and concisely enough. Just drag and drop electrical and telecom symbols (such as wall light and down lighter, light bar, circuit breaker, switch, etc.) to your drawing, join, combine, group, align and distribute elements the way you need. 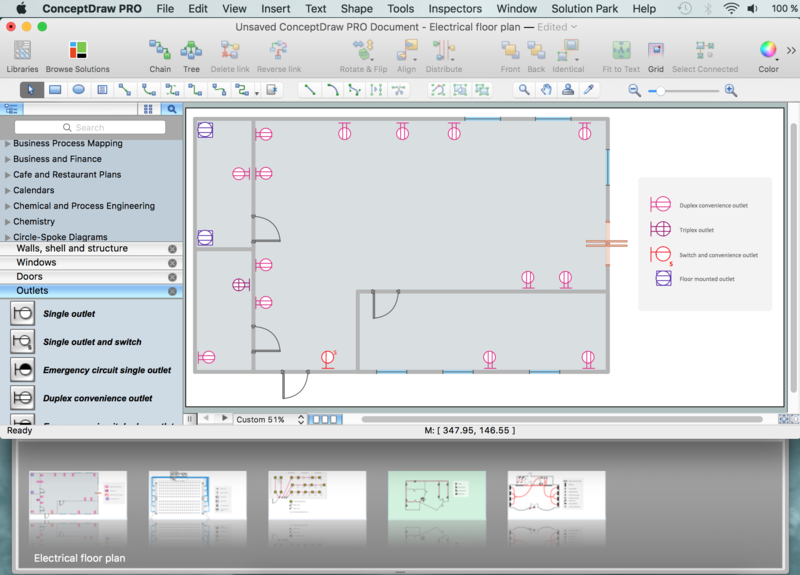 ConceptDraw DIAGRAM helps you to create eye-catchy professional-looking diagrams in minutes and extends your work with various export methods. and other electric visual and telecommunication floor plans for design and construction, including outlets, switches, and fixtures. 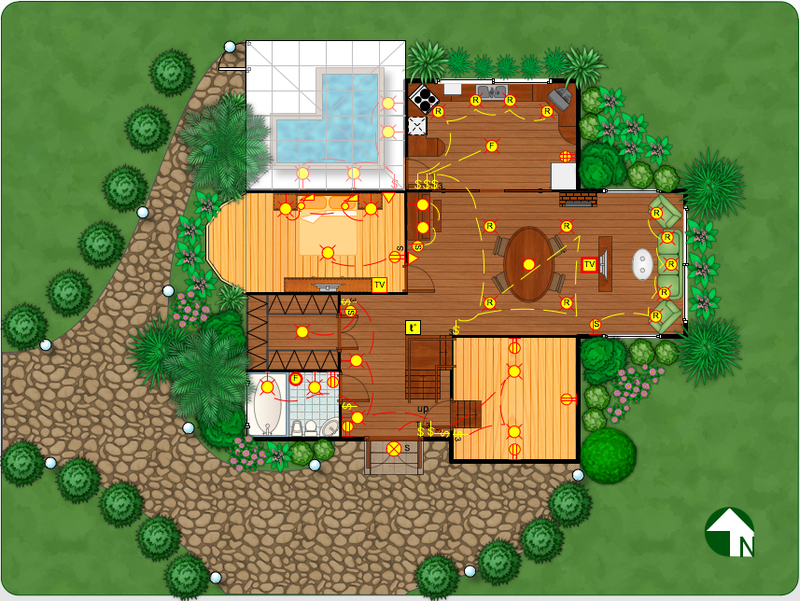 You can use many of built-in templates and examples of our House Electrical Plan Software. Start with the exact template you need then customize it to fit your needs with more than 1000 telecom and electrical symbols used in electrical and telecom plans, switch, light bar, circuit breaker, wall light, down lighter, outdoor lighting, floor receptacle, modular fluorescent fitting, office lamp, etc. You will find expected result in minutes. Look at this sample which illustrates the home electrical plan. You can see the visual detailed plan of the home and adjacent territory, location of numerous electrical devices in the building and the scheme of electric and telecom wiring.